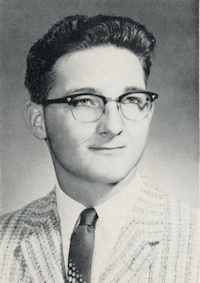 Obituary – Shaffer, David Lawrence « Perry High School Alumni Association, Inc.
﻿Football ’58-’61; Basketball ’58-’59; Wrestling ’59-’60; Track ’60-’61. David Lawrence Shaffer died on November 12th, 2010, at the age of 67. He was preceded in death by his wife Charlotte Eileen, in January 2009. He lived a full life and now is home with his Lord, Jesus Christ. He was a Husband, Father, and friend to all who knew him. He served his country as a Marine; then served his community as a Pastor and most of all he continually gave of everything he had to anyone in need. David is survived by his daughter Danette Eileen and his sons, David Ray, Douglas Charles and Derrick Eugene, their families, and many grand and great-grandchildren. He was loved and will be missed, but the circle will be unbroken.